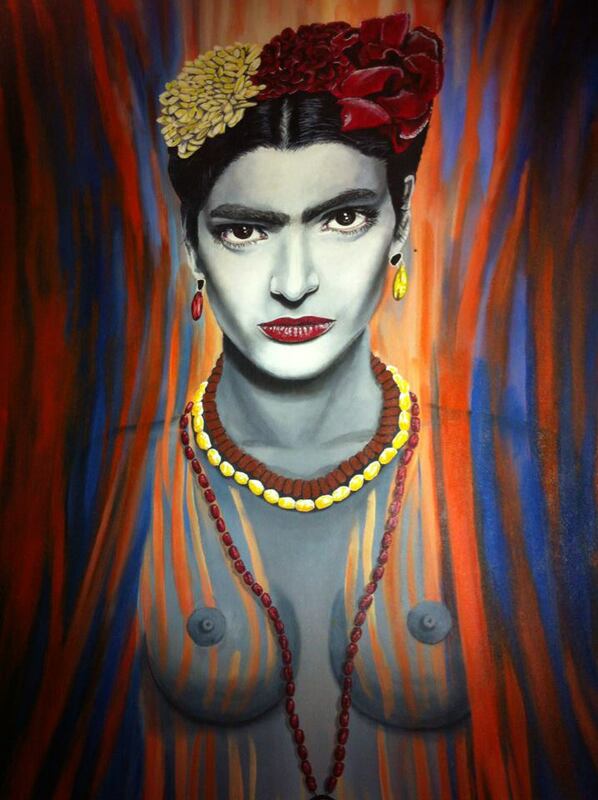 This painting was given to Bar Frida upon opening it’s doors in the new location in 2009. There is no attitude here. Bar Frida is a small cozy bar where people share tables and make new friends.Our jukebox has a large selection of English and Mexican music with hundreds of videos. People often sing along with the songs. We have a neighborhood atmosphere and lots of character(s). Bar Frida is a place that once you’ve tried, you’ll definitely be back. We make sure of it.Good people are here all the time for good music and excellent service. You’ll find nationals and visitors here that appreciate the Mexican lifestyle. Bring your friends or make some here!